Sal is Cape Verde’s most developed island for tourism, but that doesn’t stop the locals from enjoying some great music. During August, the town of Santa Maria holds its annual music festival - one of three major musical events which take place across the islands. The town comes alive with dancing, parades showcasing floats, the smell of tasty local food and a number of live acts. An event which even attracts residents from the other islands, the 4th July celebrates Santa Isabel, the patron saint of Boa Vista. In the capital Sal Rei, the streets come alive with concerts and processions, and stalls selling handicrafts and food and drink pop up. There’s also horse racing, a football tournament and even a beauty pageant happening throughout the day! Cape Verde’s biggest music event takes place during May - Gamboa festival. Hosted in Praia, Cape Verde’s capital, both national and international musicians and DJs bring all kinds of genres to perform for the large crowds. There’s lots of dancing and singing and an upbeat vibe - this festival is probably best suited to keen partygoers. Perhaps saving the best until last – it’s Carnival! Taking place each year in Mindelo, 40 days before Easter, lots of preparation goes into making this event fantastically big and colourful. Large processions including elaborate floats and the most impressive costumes adorn everyone involved, both children and adults alike. 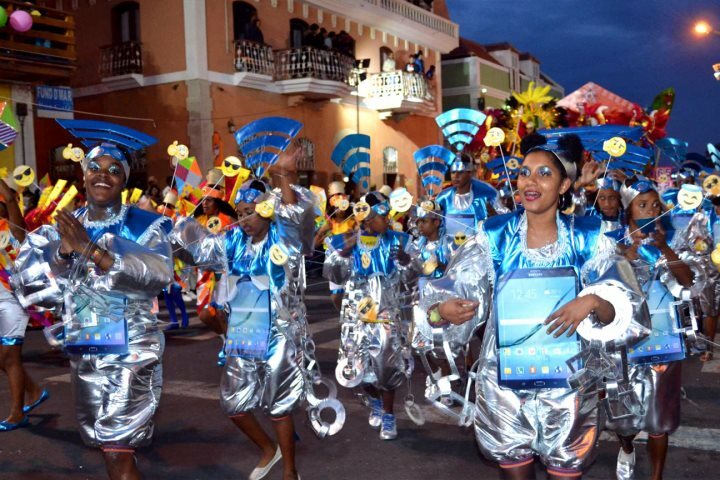 If you want to know more about this lively festival, see our Mindelo Carnival celebrations post. If you want to experience any of these festivals for yourself, take a look at our website for a touch of holiday inspiration.